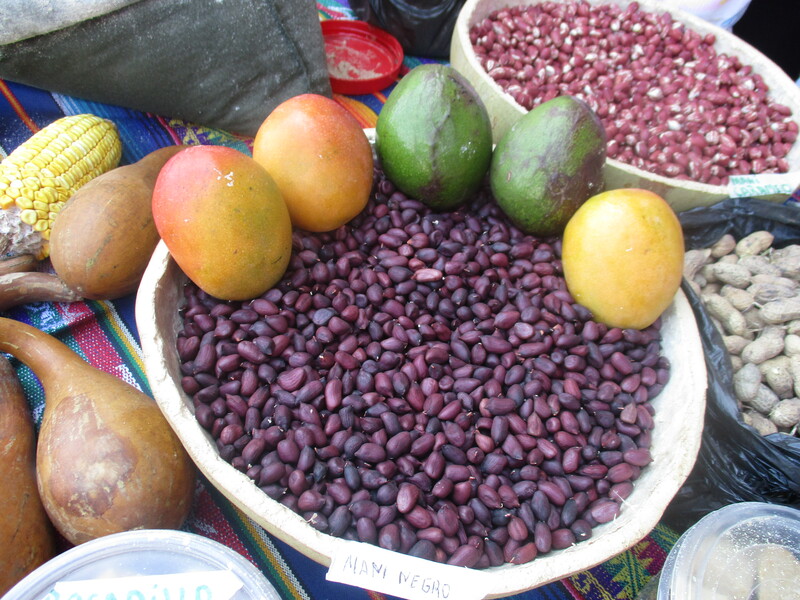 Archive » Chumbi: A New Indigenous Led Slow Food Community is born in Ecuador. 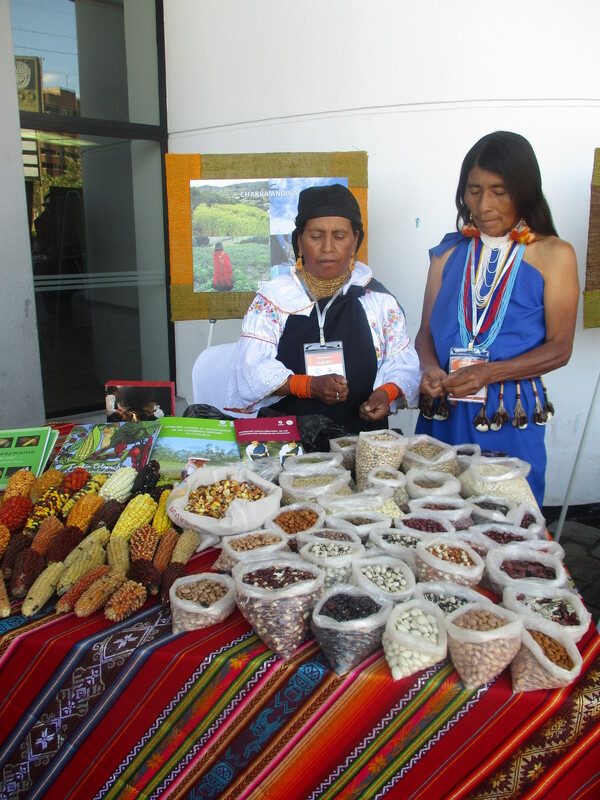 Chumbi: A New Indigenous Led Slow Food Community is born in Ecuador. Chumbi is the name for a traditional fabric made by indigenous peoples in Ecuador, representing a variety of symbols that communicate and transmit knowledge, science and histories from generation to generation. The Chumbi is worn as a belt, around the middle of the trunk, and is said to enhance vital energy. 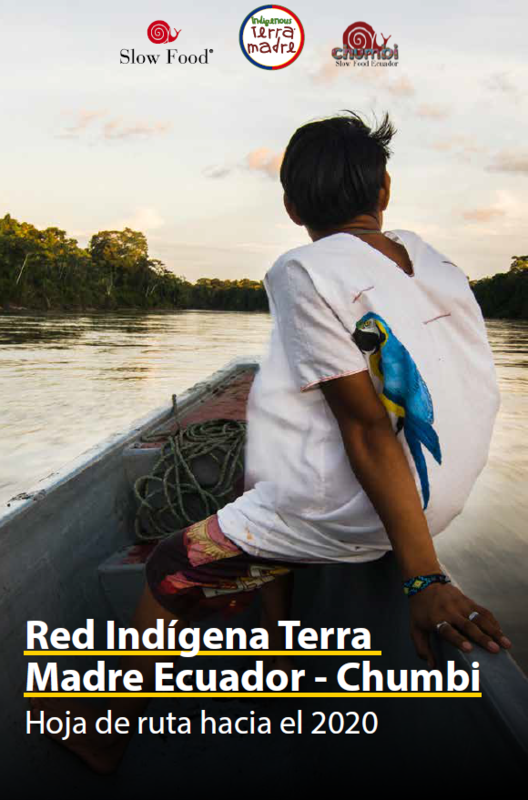 This icon of Ecuador’s indigenous peoples will not just be the name of the new community, but a guide, representing the very fabric that makes up the community’s goals and importance in communicating and uniting. As an intercultural, indigenous led Slow Food Community, Chumbi members come from a range of backgrounds, with different origins, and whether considered individually or in groups, bear within them multiple identities, levels of life experience, traditions, and memories. Just as they are defined by this tapestry of diverse stories, they of course share many common threads, notably a commitment to the sovereignty of their own bodies and lands, access to good, clean and fair food, and the parallels of many challenges and beliefs, uniting them on this shared journey. The indigenous peoples that make up Chumbi have persisted for thousands of years: Kichwa Otavalo, Karanqui, Cañari, Puruwa, Saraguro, Cayambis, Kitukaras, and others. Chumbi’s first steps will focus on internal relations, aiming to interweave the different cultures, relying on an exchange of experience and knowledge within the group, to then develop practical efforts to promote intercultural exchange beyond, by a mutual discovery and protection of the shared origins, motivations and strengths. The collaboration between these various groups and the formative years of the new organization will be overseen by Luis Aqualongo Lemay, known as Tupak, who was chosen to take the reins and facilitate this inaugural period for the network. As far as the actual activities go, Chumbi wishes to strengthen and help the organization of producers within their territories, to raise awareness about traditional gastronomy, and promote Slow Food projects such as the Ark of Taste and Presidia. Drawing from the different regions of Ecuador, the collective work of Chumbi will act as a nucleus and provide support to the existing initiatives and projects that are active around the country, to allow the presentation of products, packaging, and traditional dishes, the fruits of the labor of farmers, held together by an agroecological responsibility for the urban and rural areas alike. The indigenous peoples of Chumbi have inherited resistance from their ancestors, galvanizing them to follow their paths, to live with dignity, and to provide social importance rather than merely commercial value to the natural resources that provide them with food. This is why Chumbi was created, and its equatorial diversity will provide another valuable contribution to Slow Food.